The price includes only the file translation of subtitles on the RUS. Subtitle Format: breakdown by time .pdf 0,7Mb. 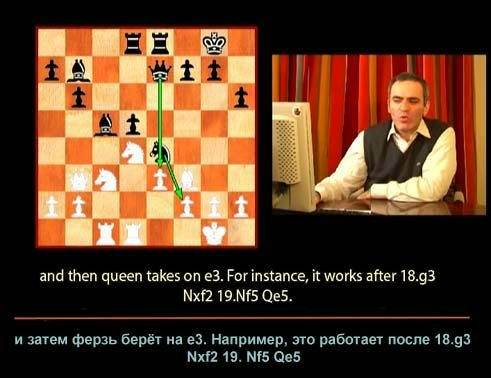 The material is intended for users of DVD "Garry Kasparov:" How to play Queen´s Gambit ", 2005. The 20 video lectures former world champion with his characteristic energy he explains how to play white in the Queen´s Gambit. Initially, the material is made to Eng. I have translated all video lectures in Russian and decorated in a separate text file. Basically, to print the file is enough to understand the lessons of Kasparov. And the most advanced users can open the appropriate forums and to impose Russian subtitles on the original DVD. In an Internet there is a demo version. Locate and be sure to check that you really need. Questions can be set offline.